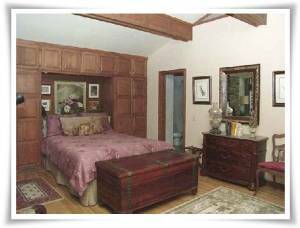 An elegant, yet comfortable, 3000sf vacation home in the style of Frank Lloyd Wright. 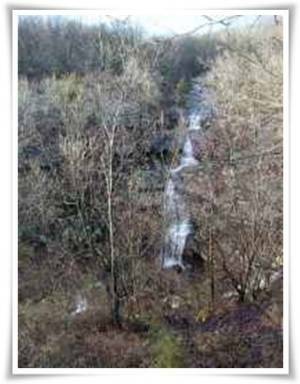 Built of rock, glass and redwood, filled with artwork and antiques, the lodge is naturally blended into the 136 surrounding acres and overlooks an 85 foot waterfall. 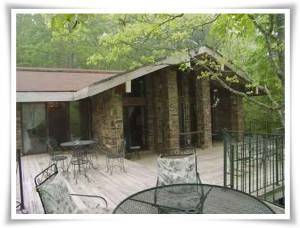 Located near the upper Buffalo National River, the home offers 3 bedrooms, 3 baths, 3 sleeper sofas, fully appointed kitchen, dining room, 2 fireplaces, Jacuzzi tub and entertainment room with satellite TV, VCR, DVD player and telephone/computer hookup. 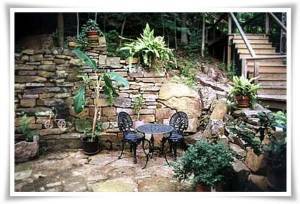 3000sf of decks and patios overlook the 85 foot waterfall offer plenty of outdoor seating and a propane grill. 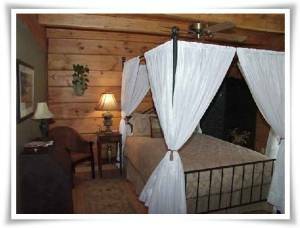 Azalea Falls has also added a very luxurious chalet styled log home. 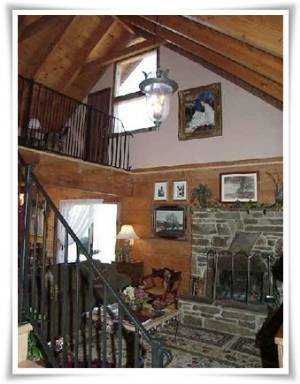 Filled with artwork and antiques, it has 3 bedrooms, 2 1/2 baths, 3 sleeper sofas, fireplace, lots of deck space and, like the lodge, overlooks the hollow. 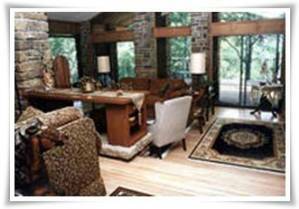 Both the lodge and cabin are secluded and private, separated by a short walk or drive and the two homes may be rented separately or together for larger groups. Reunion Package rate - $320 for up to 12 people. Deposit: 10% discount for January and February.